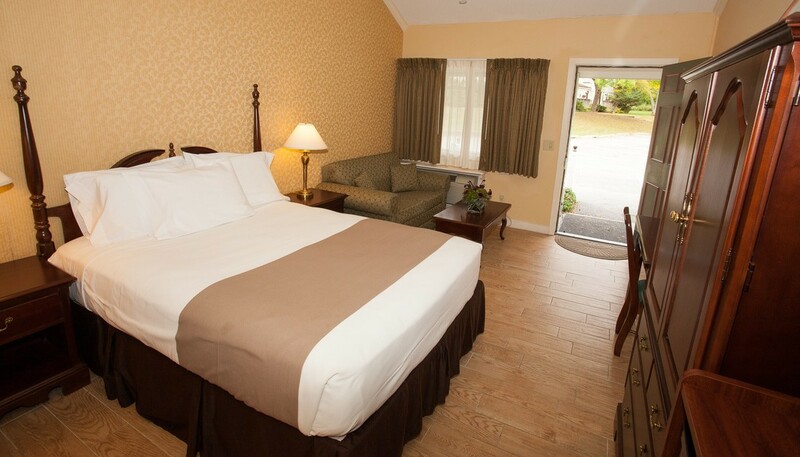 Our 8 pet-friendly guest rooms rooms at Woodside feature private bath and full amenities including digital cable and flat screen TV, high-speed WIFI, coffee maker and much more. With vaulted ceilings, these rooms also feature a queen-size bed, a sleep-sofa, a microwave, and a refrigerator. 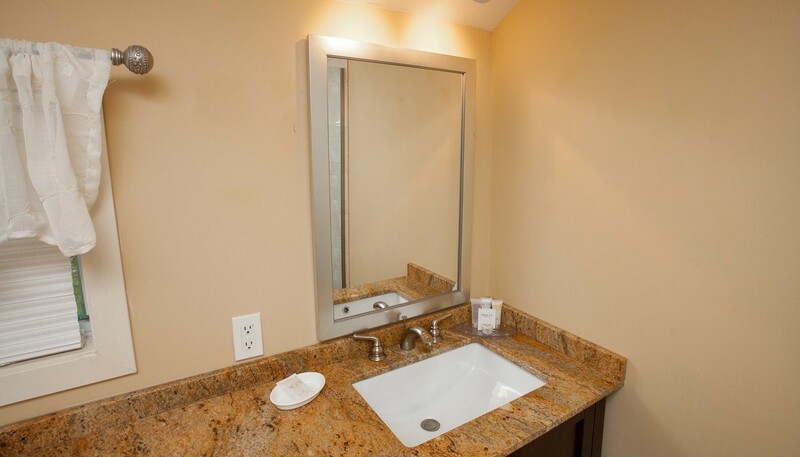 The bathrooms have been recently renovated with a shower unit and granite tops. This single-level building provides direct entry from the outside. 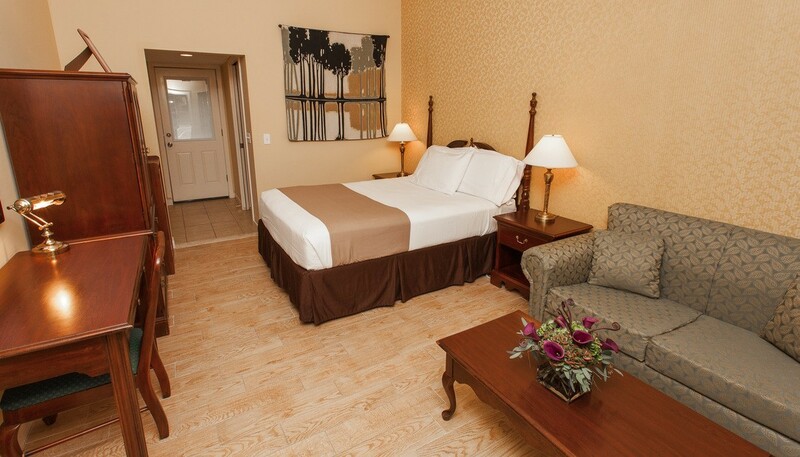 With all the creature comforts, Woodside offers privacy and nearby parking. We ask that you review our Pet Waiver that provides further details on Interlaken's pet policies. We're happy that you're traveling with your pet but please do not leave your pet unattended in our guestrooms, and always keep them leashed while enjoying the Interlaken grounds. Please let us know that you're bringing a pet at the time that you're making the reservation with us!